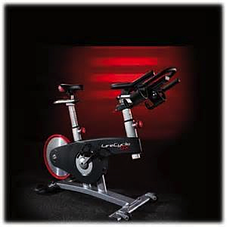 Life Fitness, the company that developed the original Lifecycle® exercise bike is one of the newest bikes on the market. 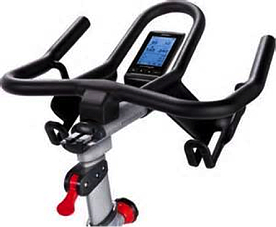 It’s biomechanically designed and user-tested to ensure a comfortable yet effective workout. Plus quality construction provides long-lasting durability ride after ride. The Life Fitness biomechanics team has studied human movement and machine interaction to develop a bike that stands at the head of any class. Lifecycle GX has the most in demand features and a bold rear flywheel design that spins like no other. These bikes are belt driven for a smoother, quieter ride with 170-mm Q-factor for an efficient pedaling stroke. 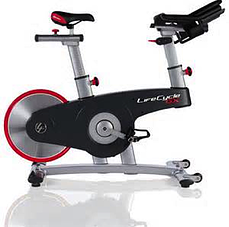 No other fitness center in South Jersey boasts this newest, state-of-the-art indoor bike! *Bike reservations can be made online no more than 24 hours in advance. You must arrive at least 5 minutes before class or your spot will be reassigned to someone on standby. Cancellations must be made at least 30 minutes before the start of class (5 minutes by calling). Cancellations after that (including "no-shows") will result in a $2 fee charged to your account.